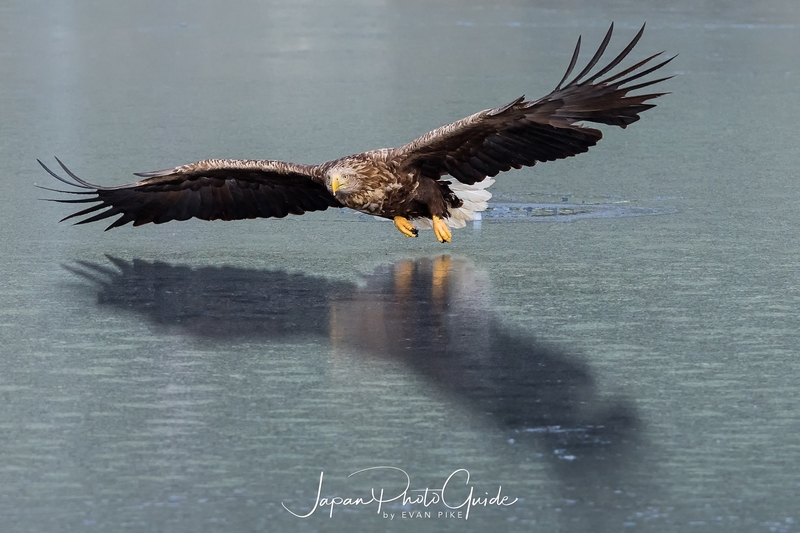 Along with Chris Weston, I escorted a small group of wildlife photographers in Japan in search of Japan’s Winter Wildlife. 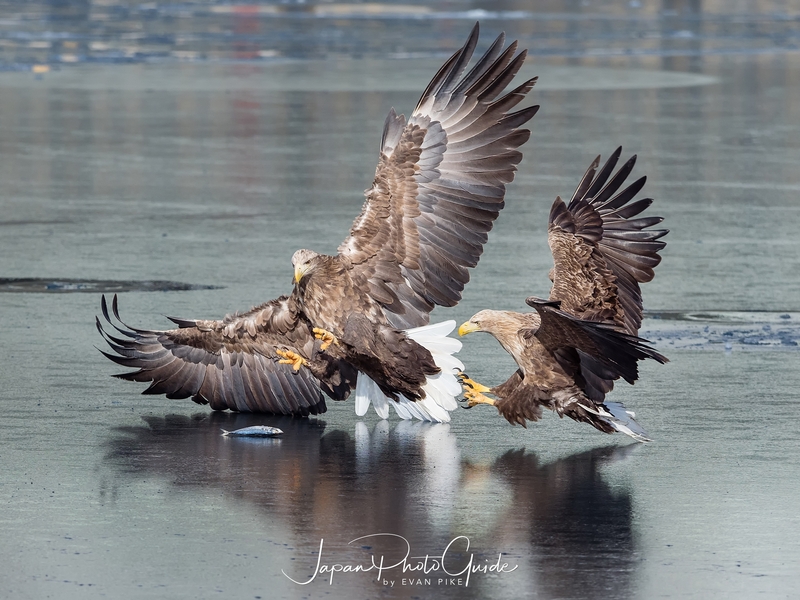 View the 2018 Winter Wildlife Tour of Japan Trip Report to see photos of Japanese Snow Monkeys, Red Crowned Crane, Swan, Steller’s Sea Eagles and whatever else we could find! 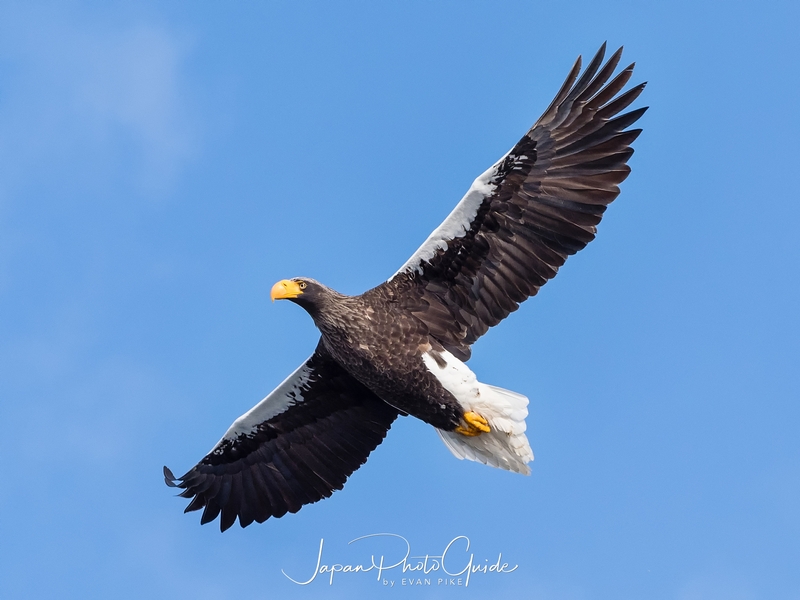 This is the third of 3 posts about Steller’s Sea Eagles, next are the Whooper Swans in Kawayu onsen! 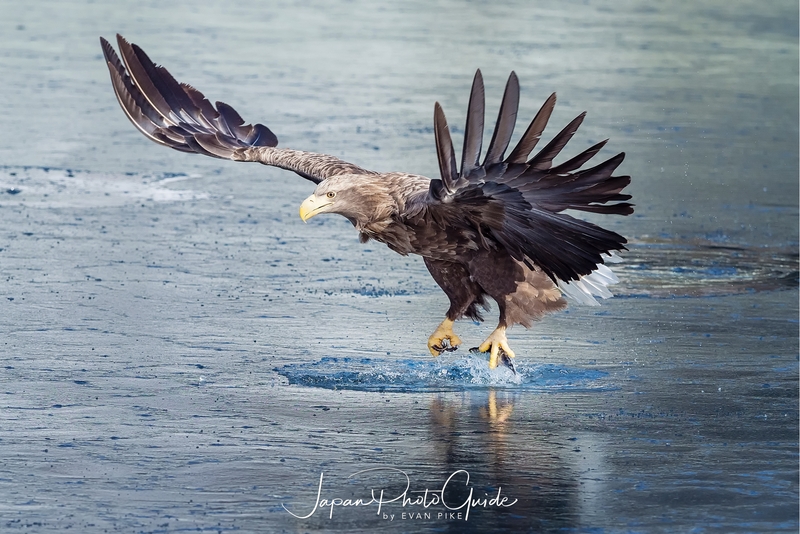 Compared to last year, the drift ice that usually comes into Rausu was nonexistent! 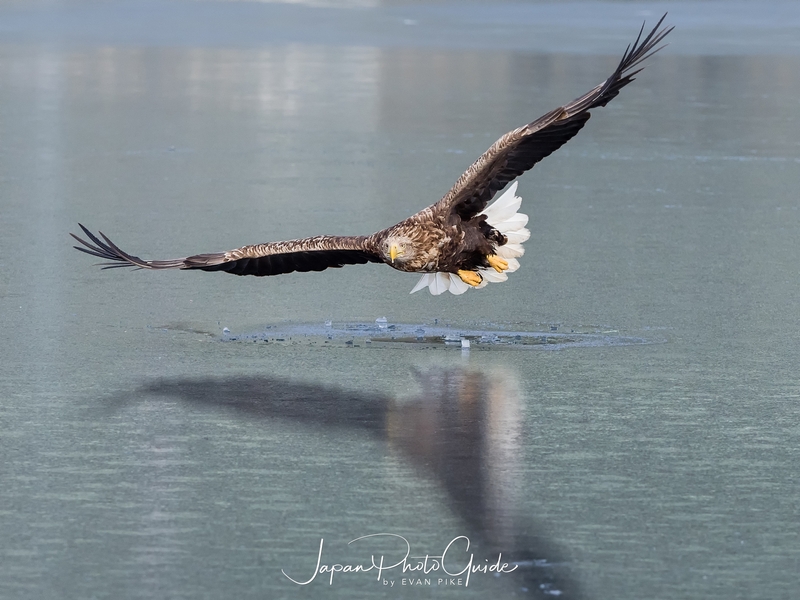 Apparently the captain told me that there had been very little drift ice this year due to direction of the wind and other conditions. 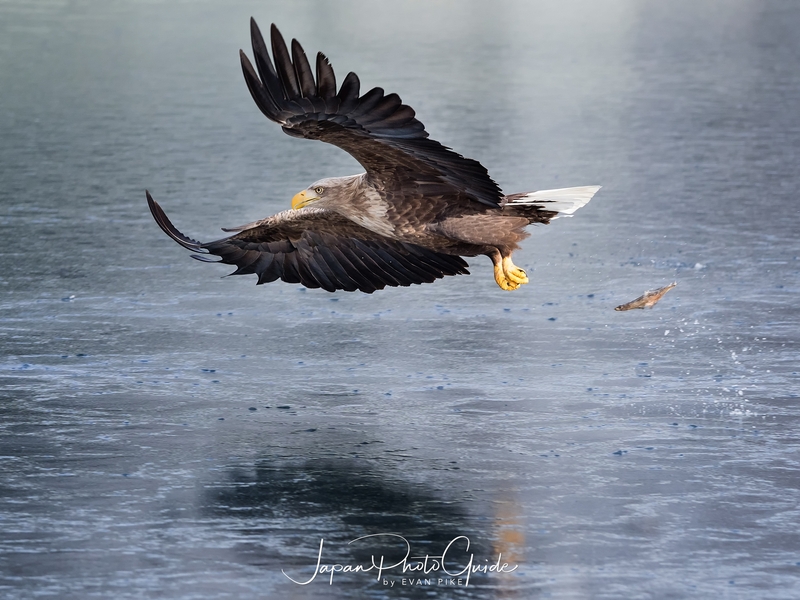 At least we found one spot close to the shore where the water was calm enough that it had a thin layer of ice above the sea for the Steller’s Sea Eagles to land on. 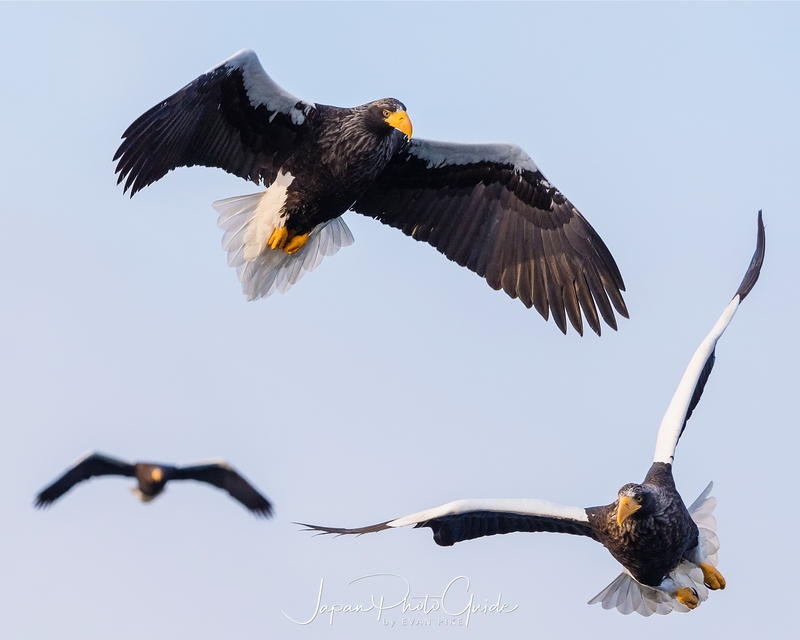 For me, this worked out great and I felt I could see more personality from the eagles for some reason. 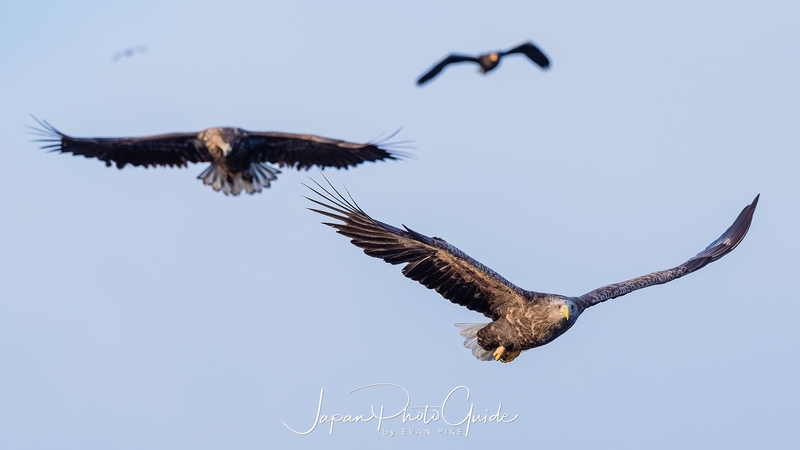 Perhaps it was just because the eagles actually stayed in place for a few seconds rather than flying in and flying off! Also the reflection on the ice was quite nice. 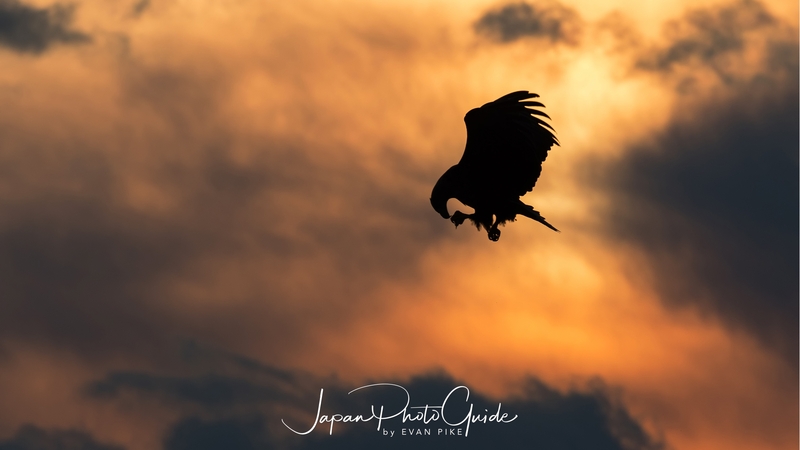 Along with Chris Weston, I escorted a small group of wildlife photographers in Japan in search of Japan’s Winter Wildlife. 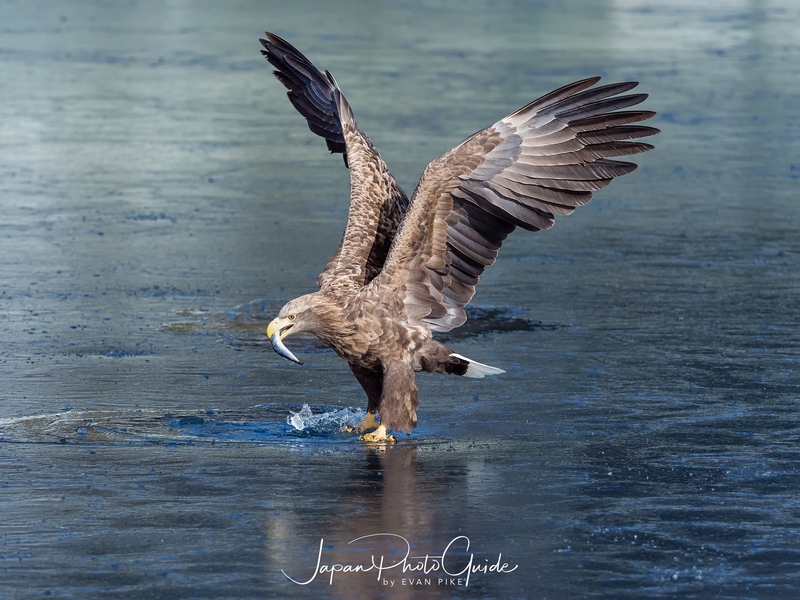 View the 2018 Winter Wildlife Tour of Japan Trip Report to see photos of Japanese Snow Monkeys, Red Crowned Crane, Swan, Steller’s Sea Eagles and whatever else we could find! 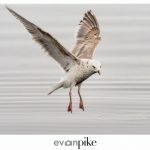 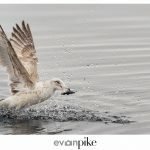 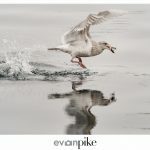 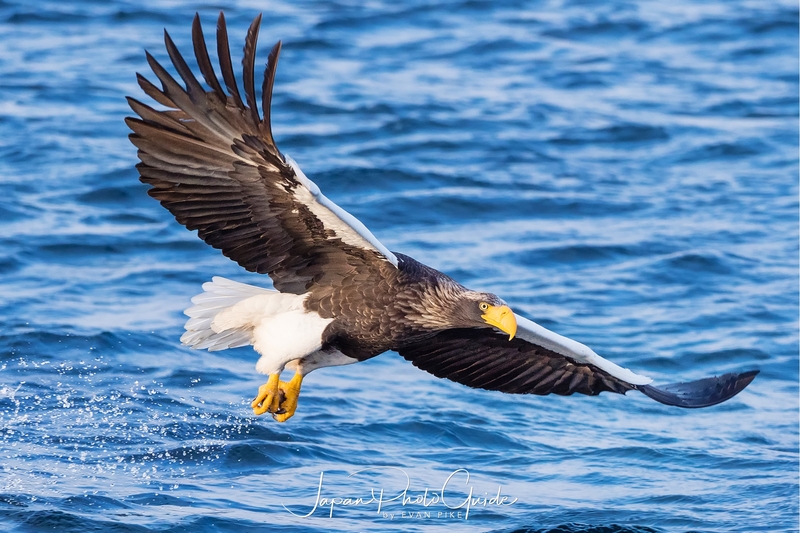 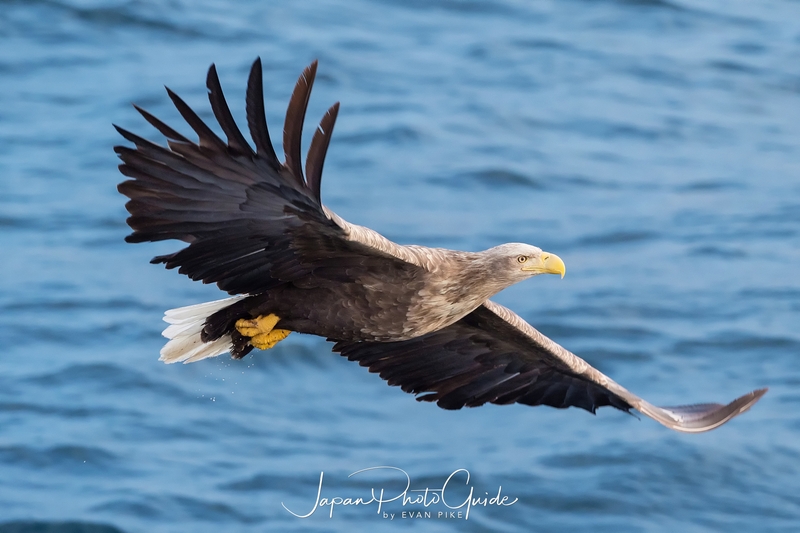 This is the second of 3 posts about Steller’s Sea Eagles, one more about the eagles in Japan and then off to the Whooper Swans! 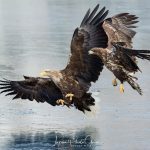 I mentioned in my previous post about the eagles how I love to watch them fly. 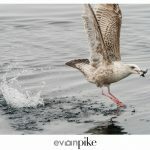 Their attack and capture is quite impressive as well! 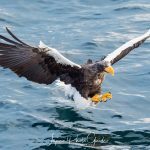 The Steller’s Sea Eagles approach is fast and efficient. 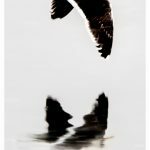 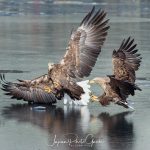 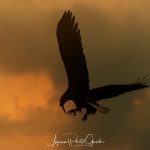 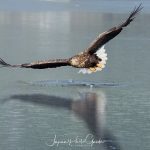 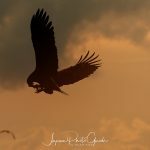 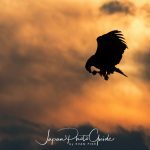 Even though I knew and could anticipate what they were going to do to some extent, photographing the eagles was not easy due to their speed and agility. 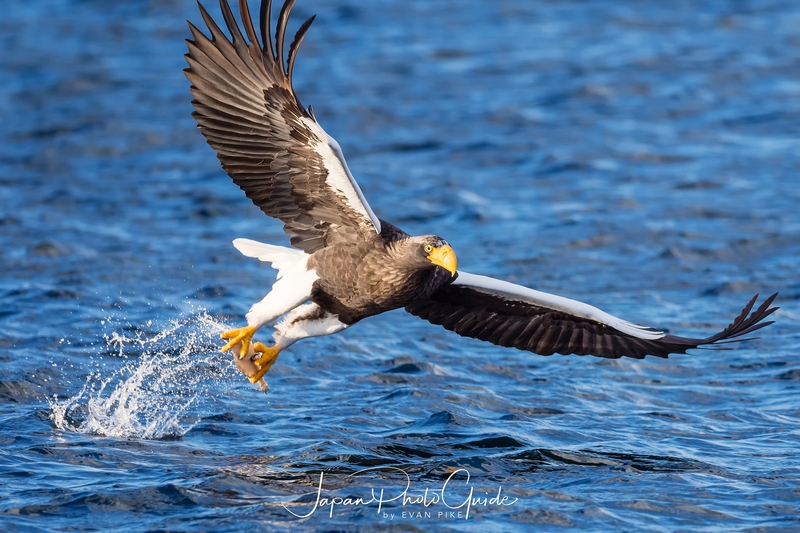 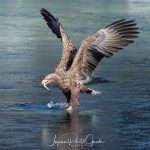 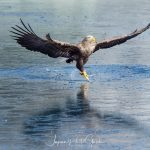 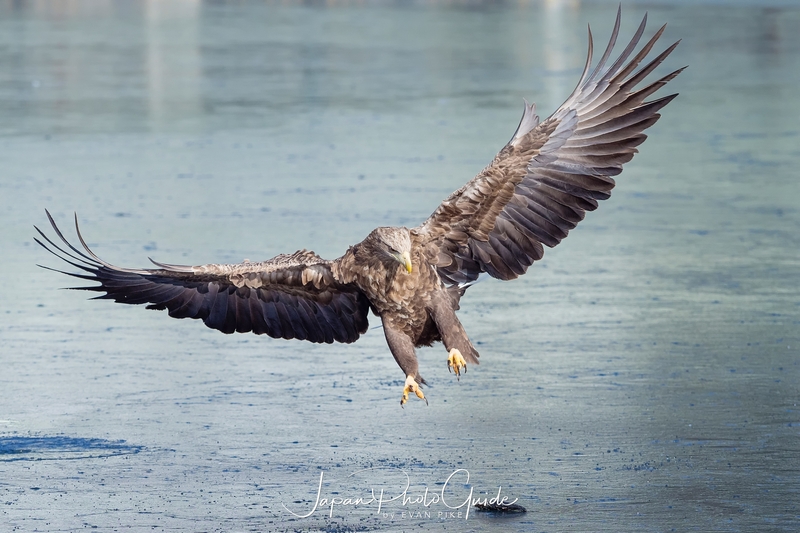 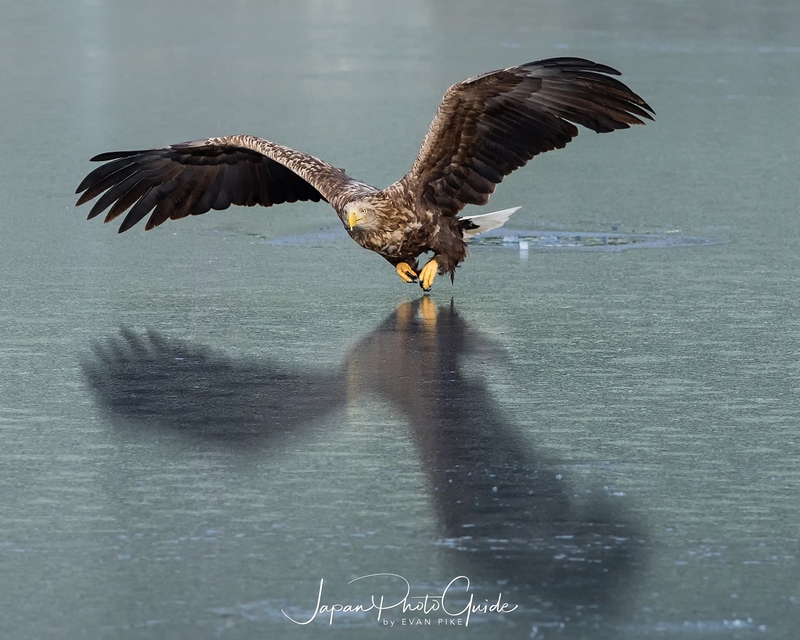 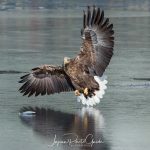 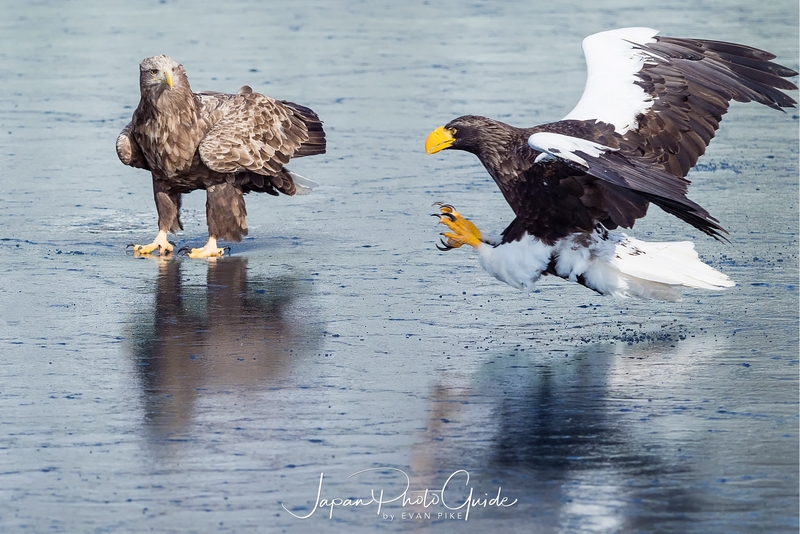 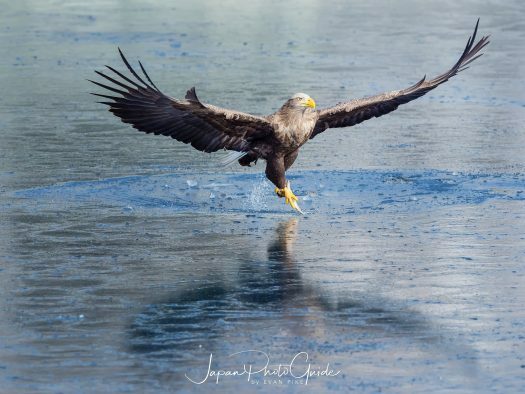 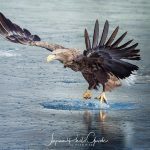 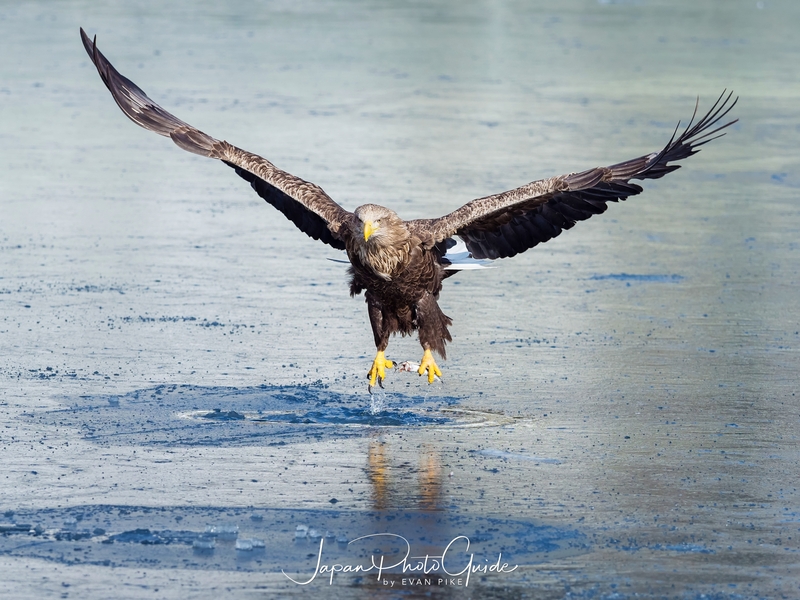 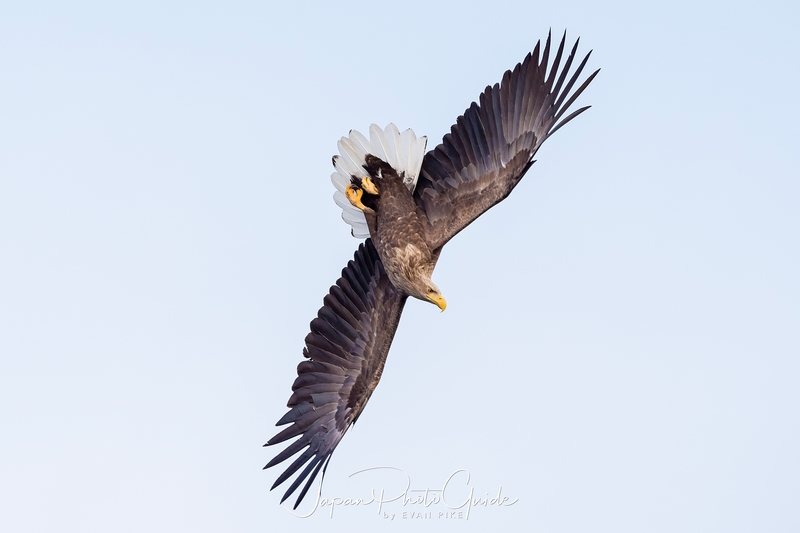 Luckily we had enough boat rides and time with the eagles in Rausu for me to come away with a few images I was happy with! 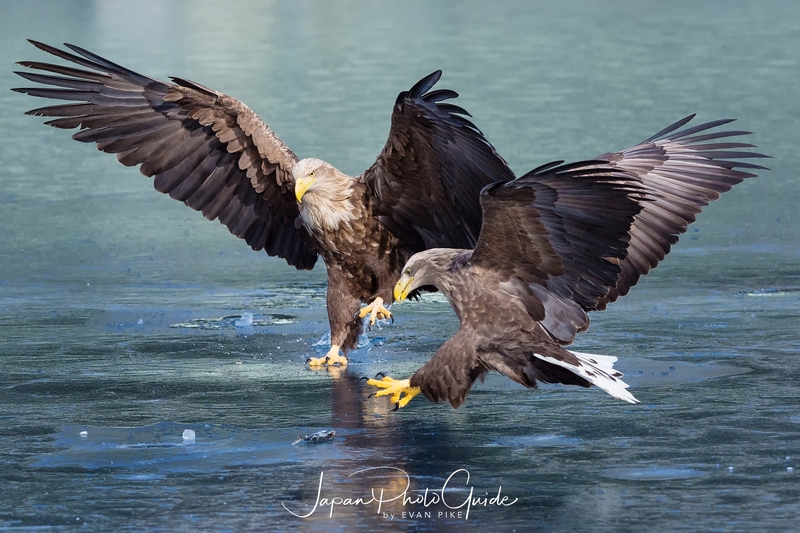 After a wonderful (but freezing) time in the 2017 Winter Wildlife Tour of Japan, I planned another tour along with Chris Weston Photography. 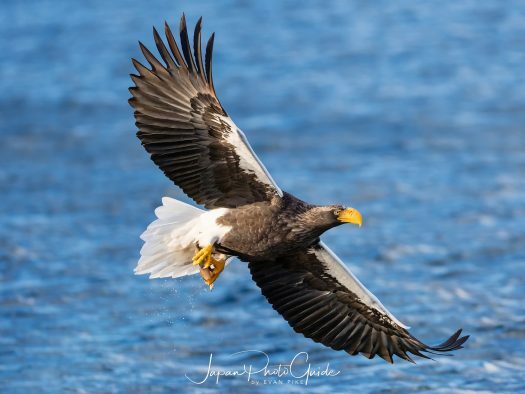 While the places were mainly the same as last year, we changed the order a little to start with Steller’s Sea Eagles. 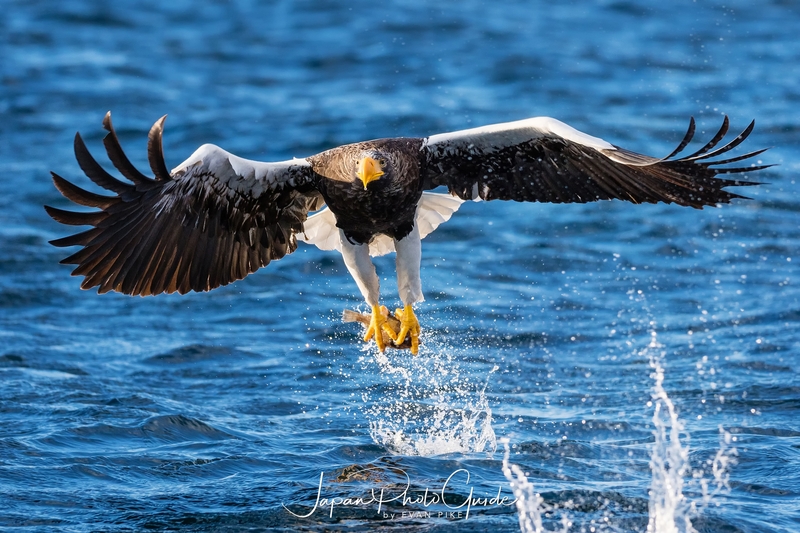 Chris is a fantastic wildlife photographer and I was really excited to partner with him again for another trip. 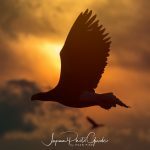 He actually just launched an online master class, I’d recommend taking a look as he is a great teacher and I always learn something from him even if I’m with him for just a few minutes. 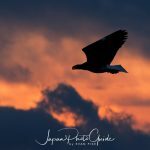 Back to our 2018 Winter Wildlife Tour of Japan tour though! 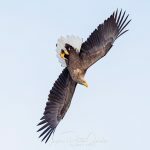 The previous year we ended with the Steller’s Sea Eagles but this year we were starting with them. 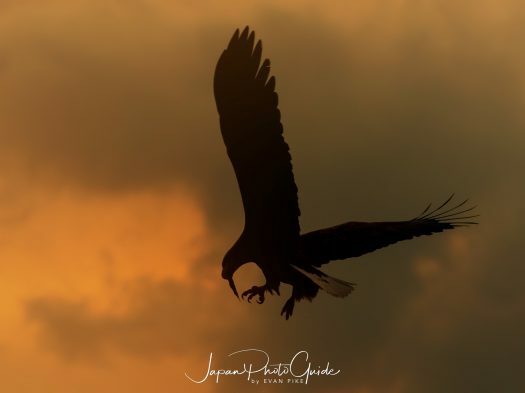 I love the eagles and the way they fly, sharply turn and perform acrobatics in the air. 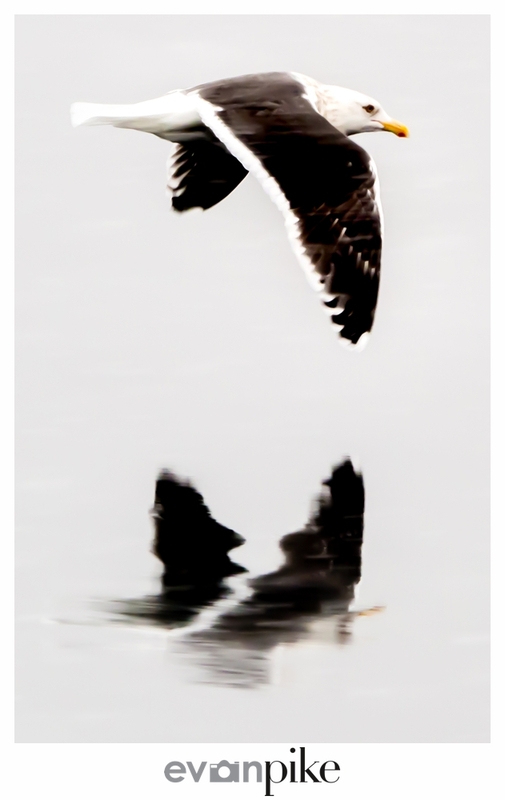 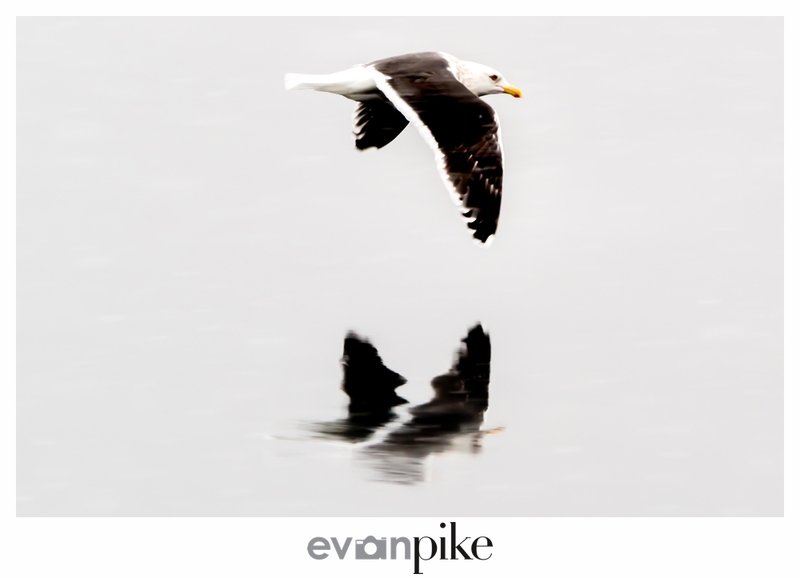 In addition to the eagles, there were plenty of seagulls which I also find beautiful in their own way. 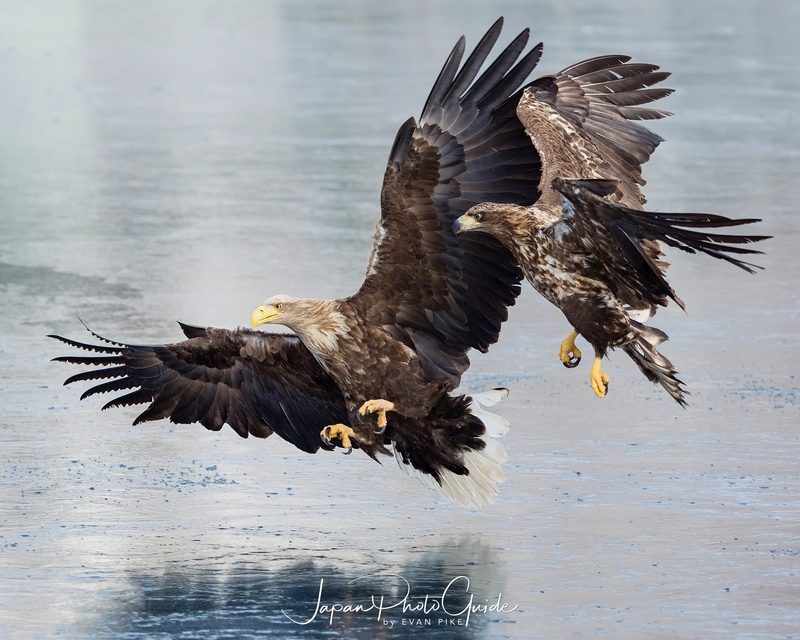 Not as dynamic as the eagles in Japan, but I find something about them quite calming and photogenic. 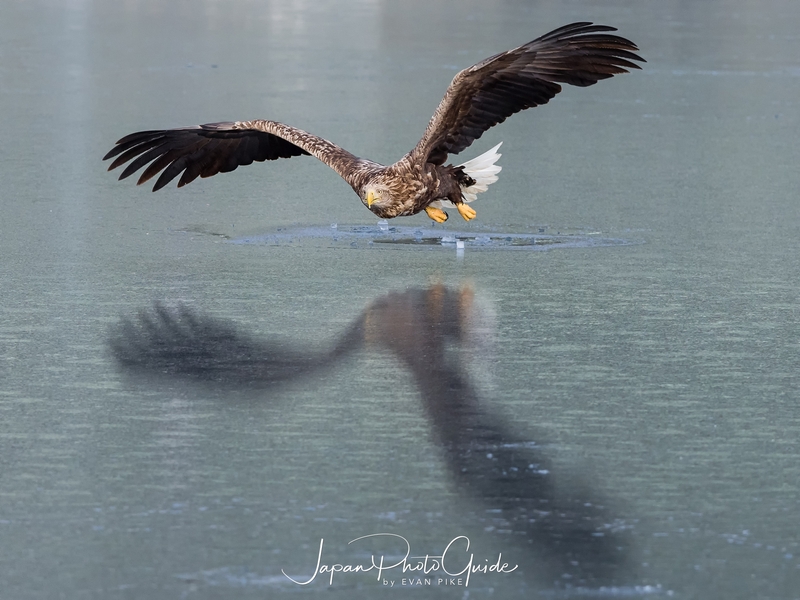 Along with Chris Weston, I escorted a small group of wildlife photographers in Japan in search of Japan’s Winter Wildlife. 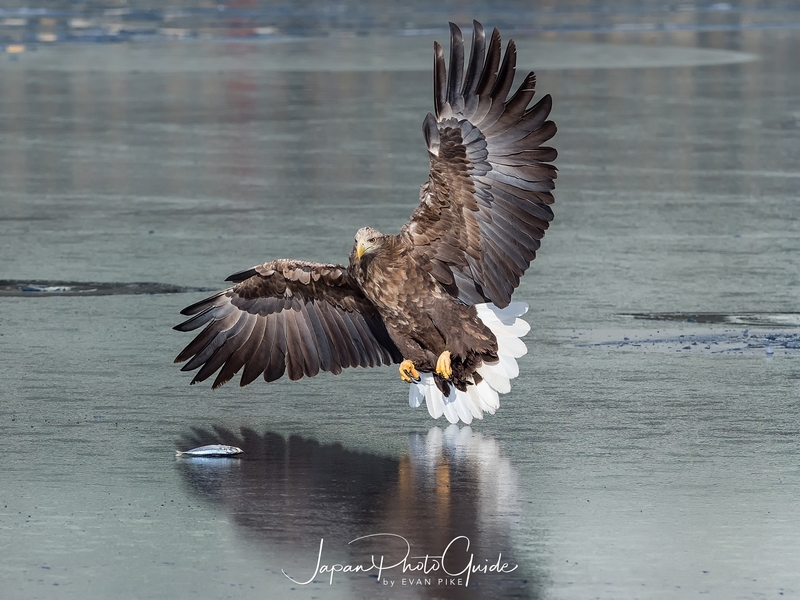 View the 2018 Winter Wildlife Tour of Japan Trip Report to see photos of Japanese Snow Monkeys, Red Crowned Crane, Swan, Steller’s Sea Eagles and whatever else we could find! 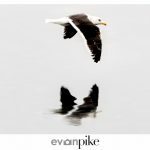 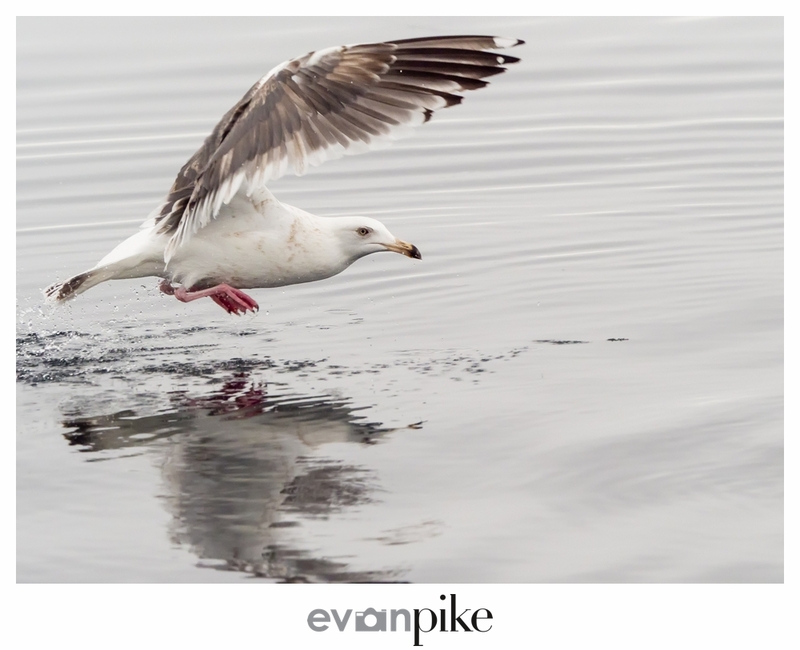 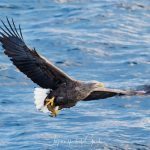 This is the first post of a few for the Steller’s Sea Eagles, see more in the gallery below! Greetings from Tokyo, Japan! 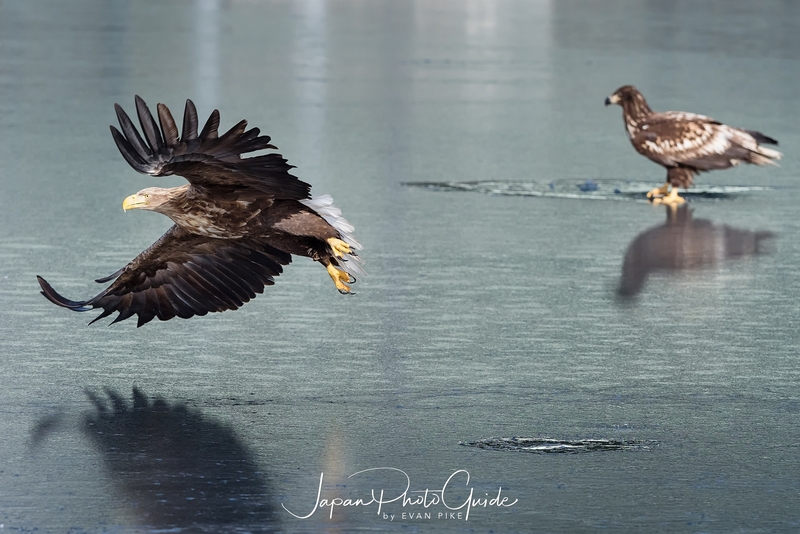 I’m posting this just at the start of my 2017 Cherry Blossom tour of Japan and glad I could finish the report from the 2017 Winter Wildlife Tour of Japan before the cherry blossom tour goes into full swing! The last stop for or photography tour of Japan was Rausu, Hokkaido. 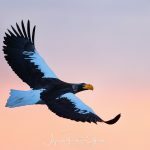 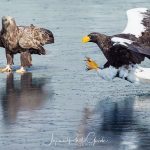 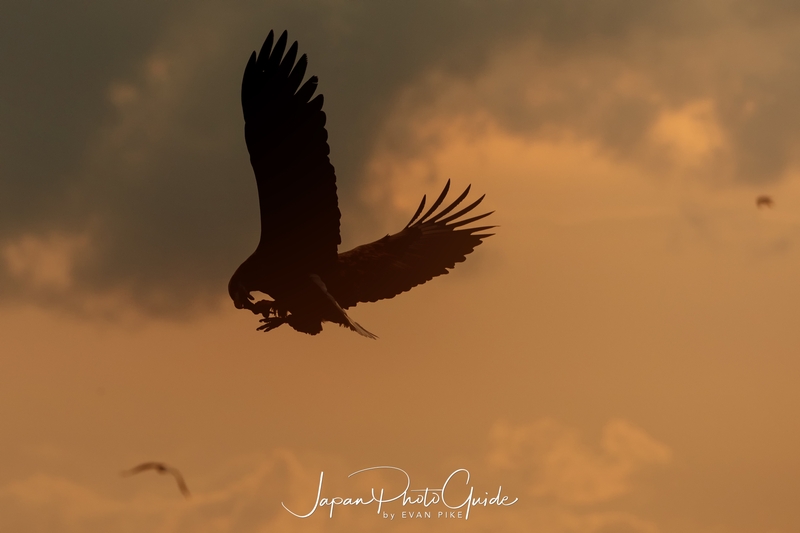 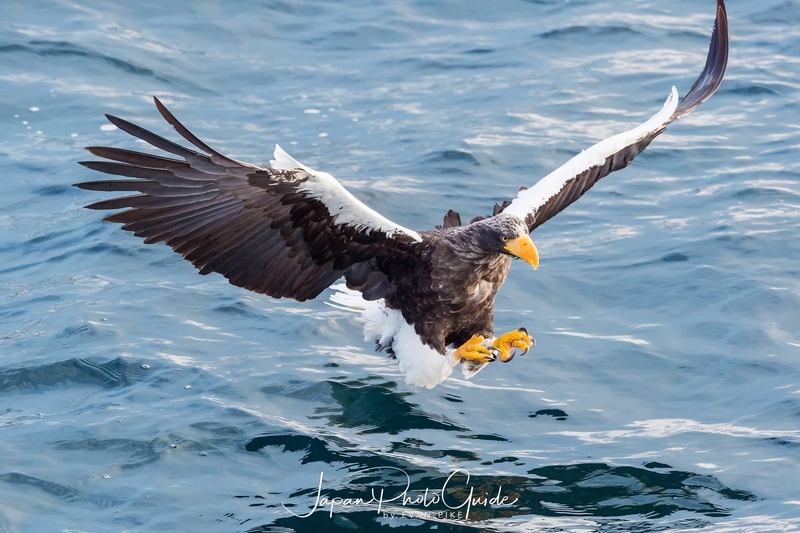 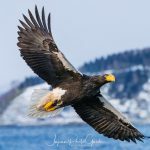 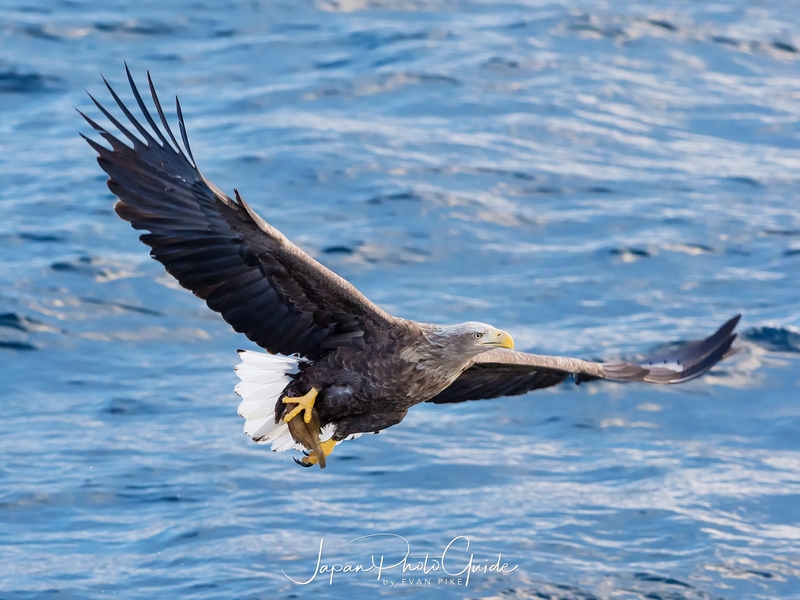 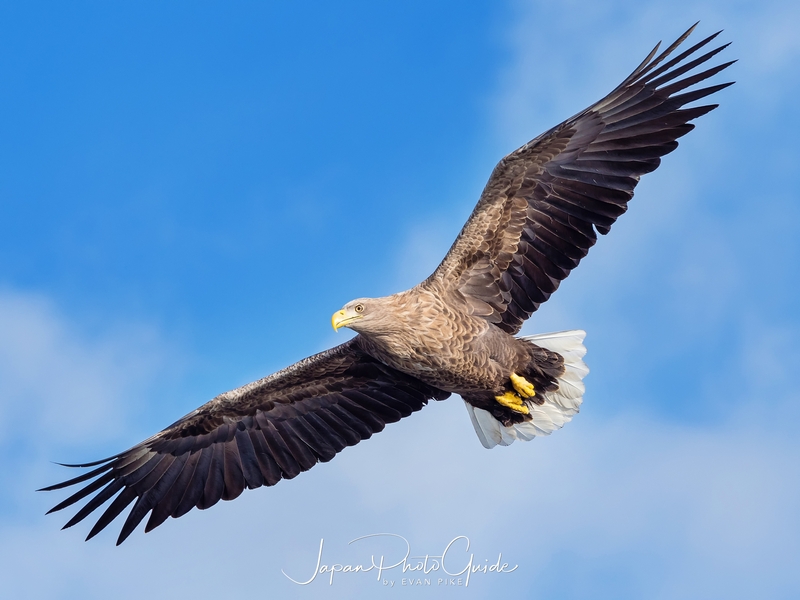 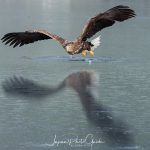 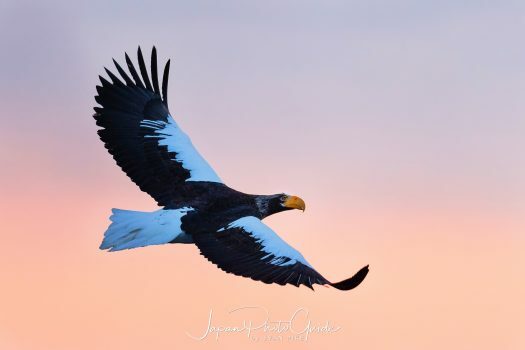 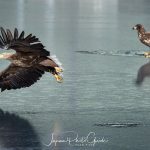 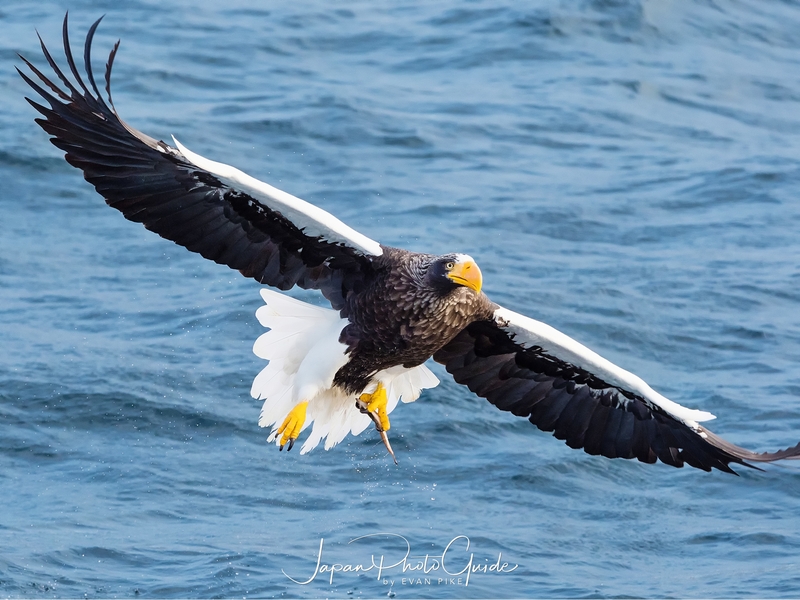 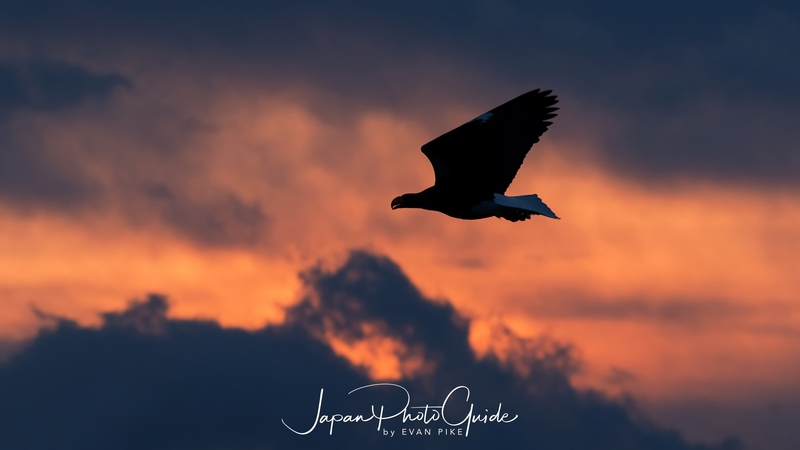 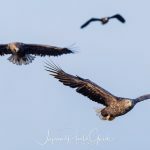 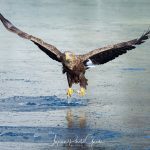 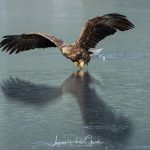 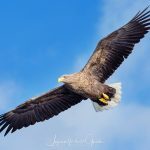 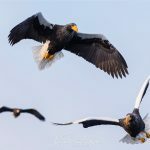 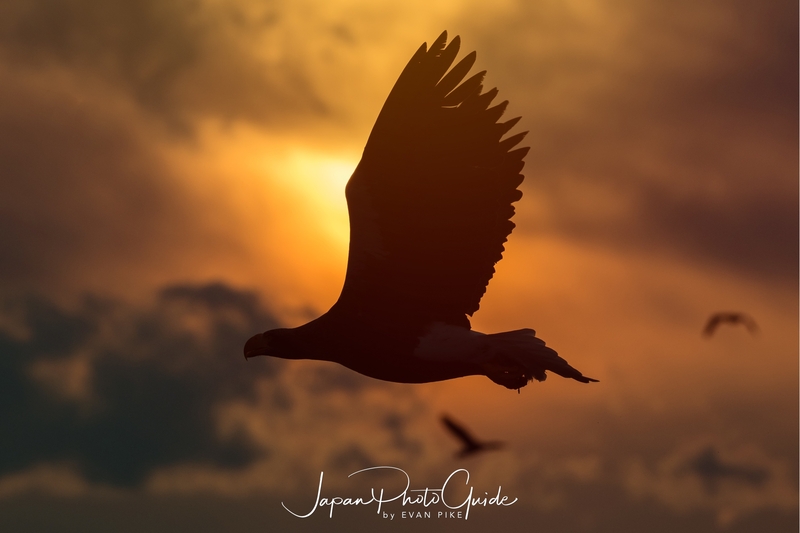 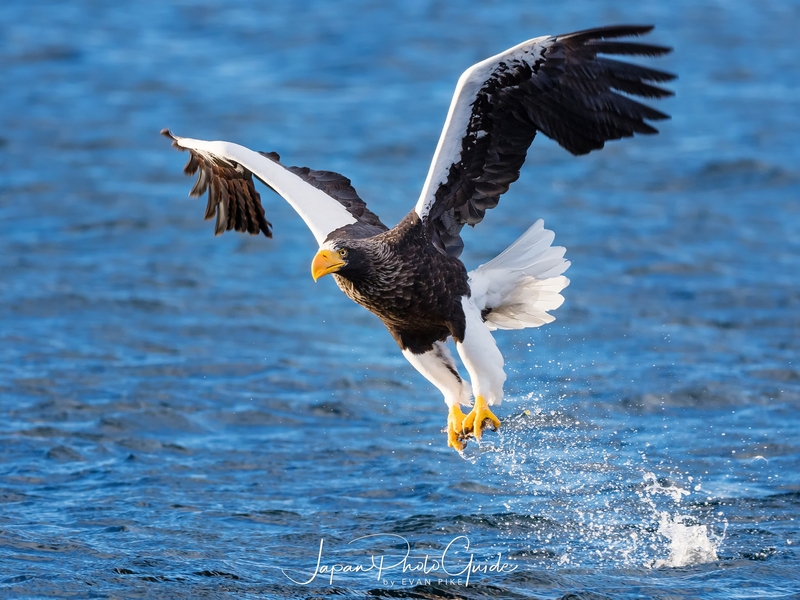 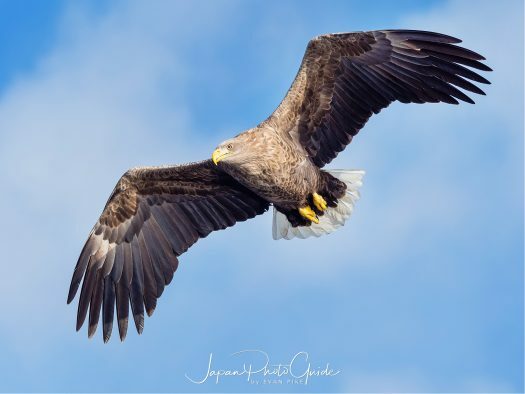 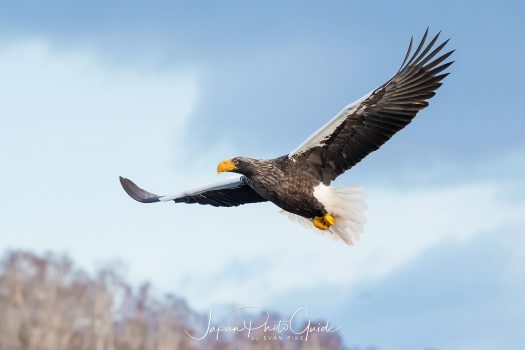 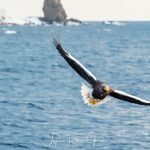 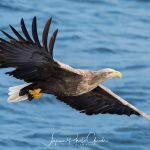 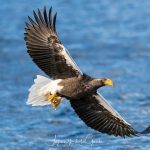 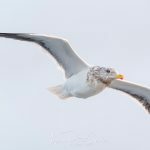 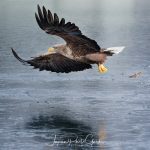 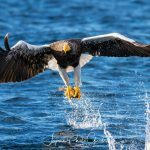 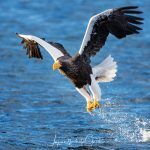 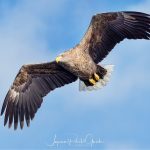 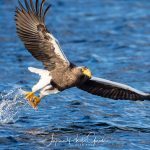 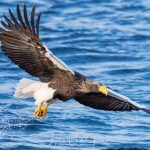 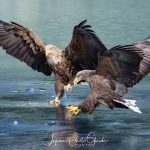 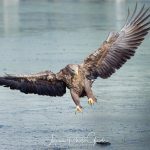 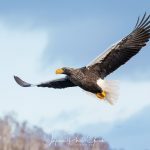 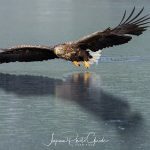 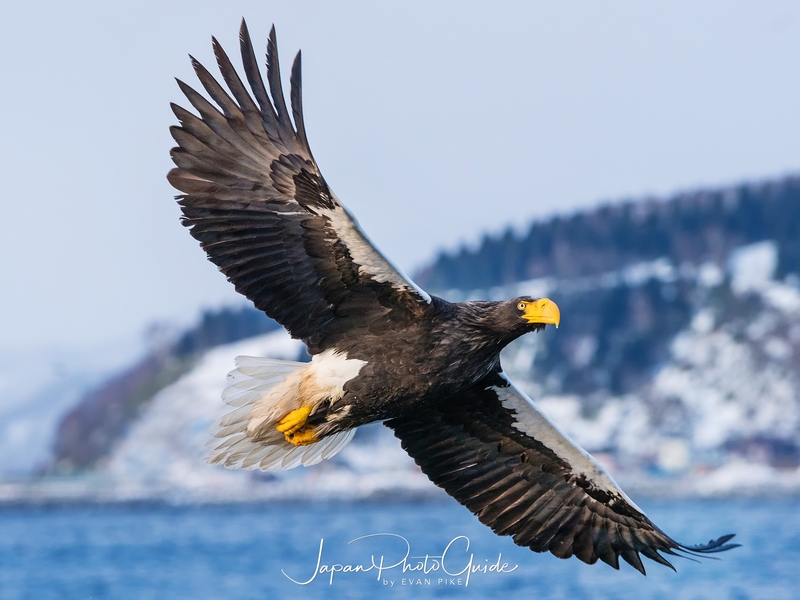 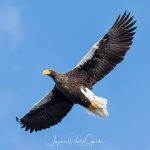 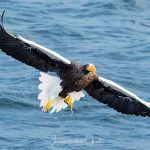 The reason our group went to Rausu and why our Winter Wildlife Tour of Japan included Rausu was because of the Steller’s Sea Eagles that can be found in abundance. 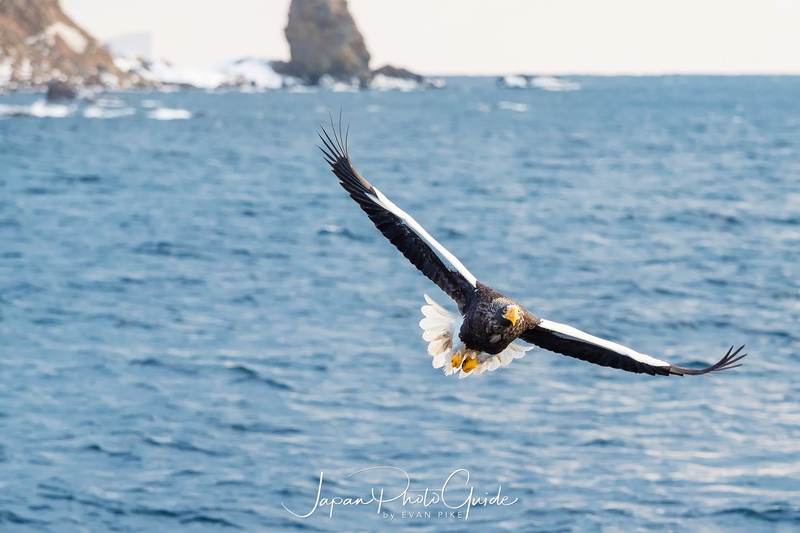 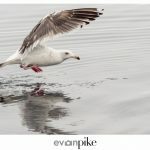 When I knew I had enough, or rather probably too many, photographs of Steller’s Sea Eagles, I turned my attention to the seagulls in the same area. 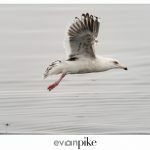 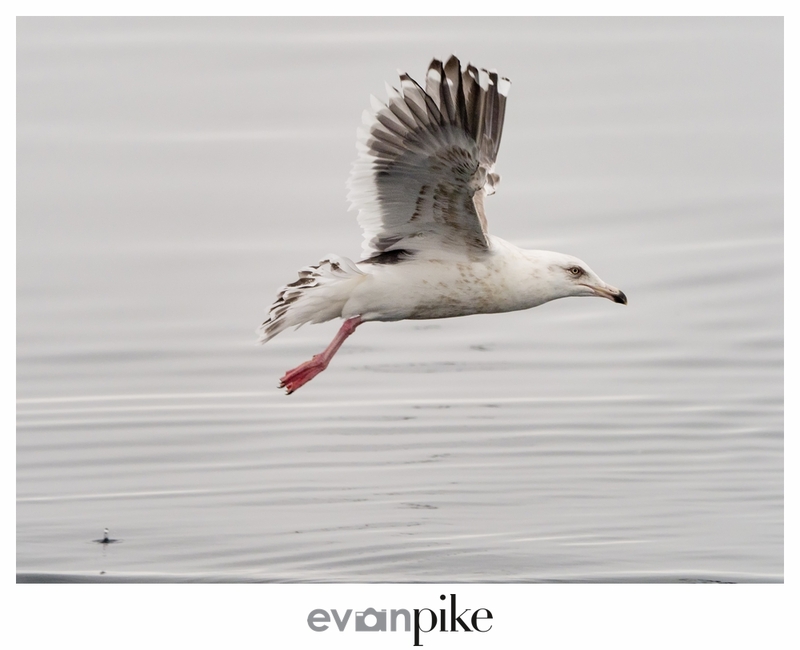 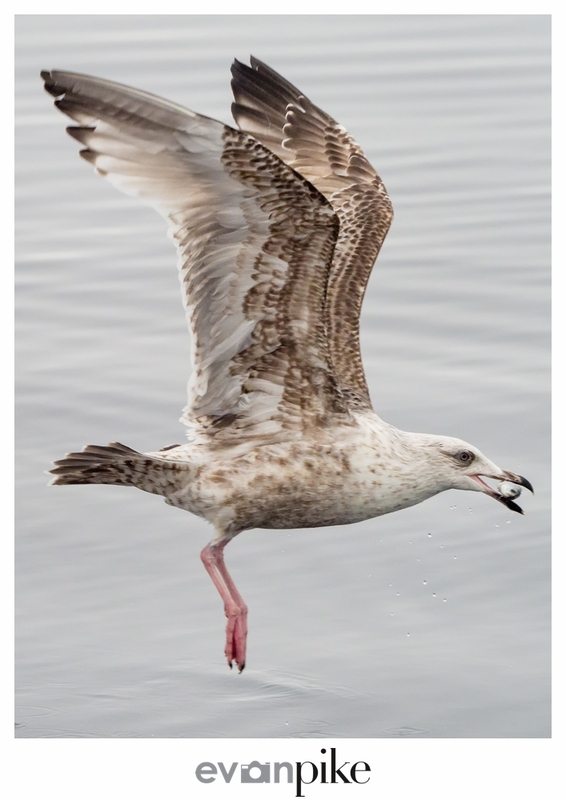 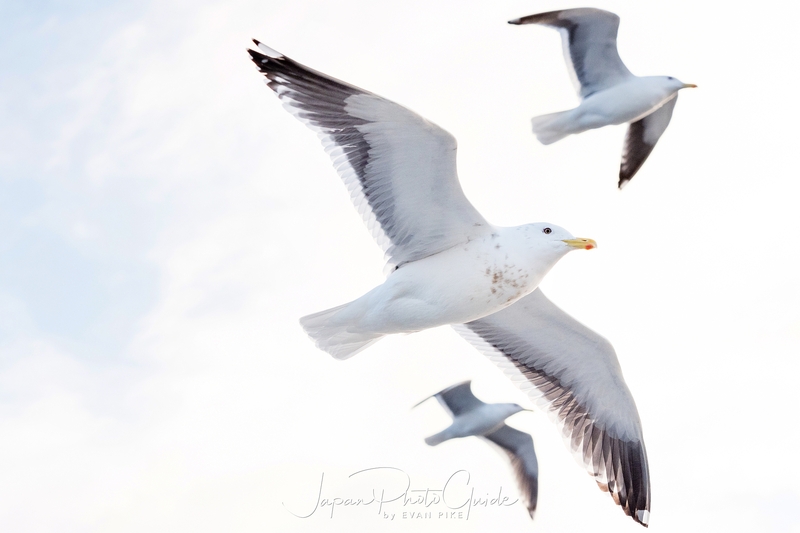 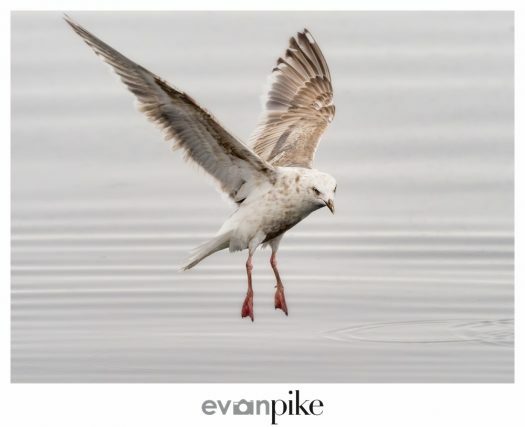 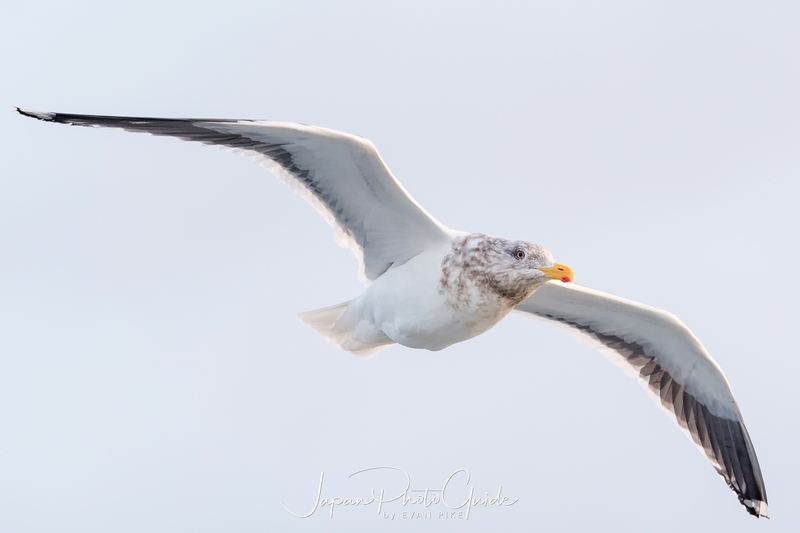 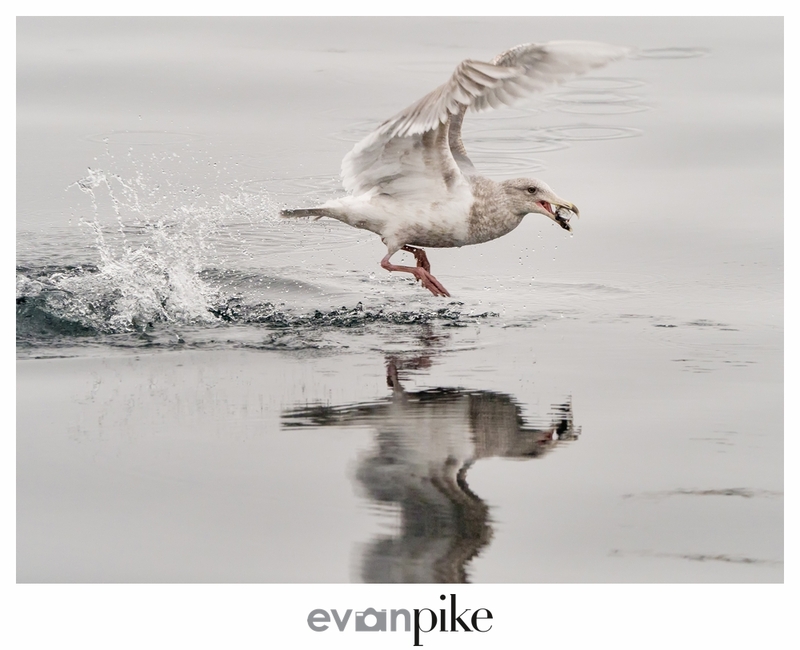 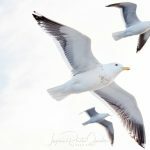 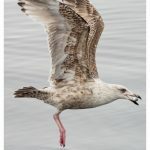 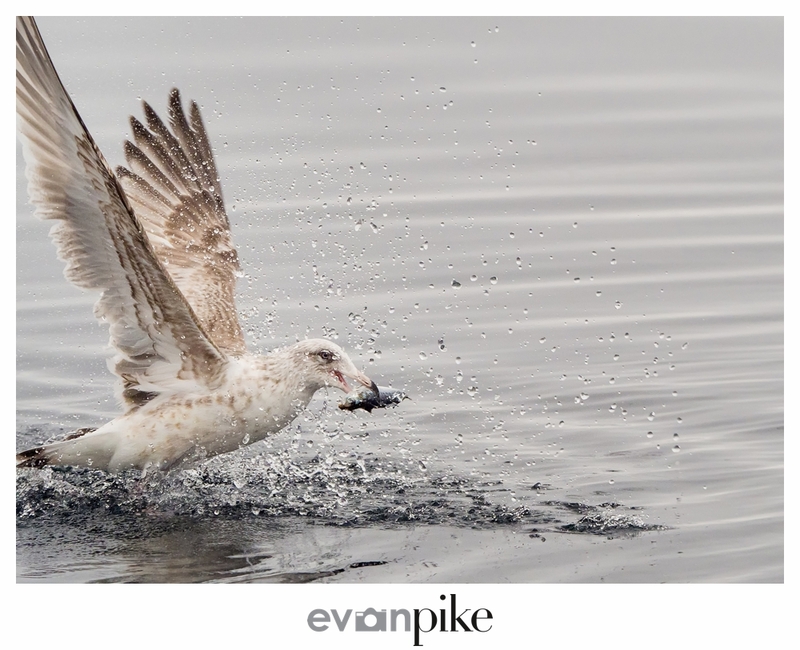 After reviewing the photos, wished I had spent more time photographing the seagulls in Rausu! 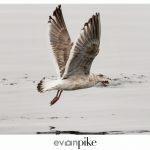 As you can see, the seagulls were quite dynamic and certainly provided a change of pace from the Steller’s Sea Eagles. 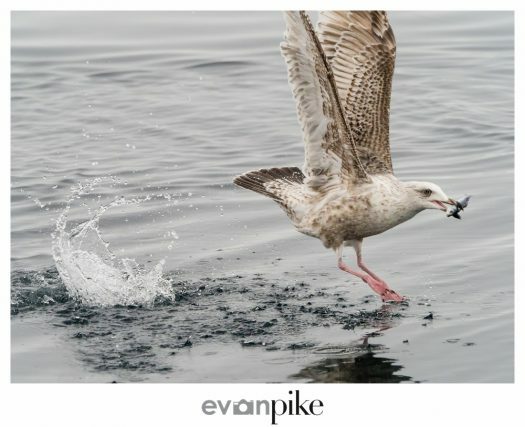 Also, while the eagles were catching fish with their talons, the seagulls were scooping up the fish in their mouths.